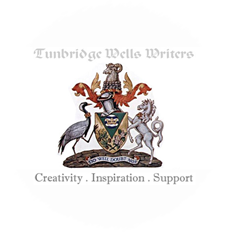 We’re a friendly group of writers based in and around Tunbridge Wells who meet once a fortnight to discuss writing, publishing, marketing, e-books and more, as well as to critique each other’s work and to provide support, inspiration and motivation. We also collaborate on group projects, ranging from writing and publishing our own e-books through to reading and performing at a range of local events and festivals. We welcome all kinds of writing – fiction, non-fiction, poetry, novels, short stories, flash fiction, plays… if it’s got words then we’re interested – and we’re keen to meet fellow writers from West Kent, East Sussex and further afield. Dates of our meetings can be found on the events calendar in the right hand sidebar of this page, together with details of any other events our members might be involved or interested in. A typical meeting would include welcoming new members to the group, plus updates and announcements on current projects or individual achievements. Once a month we have a ‘reading night’ with readings from up to three members of their works in progress for comment and feedback. The rest of the evening offers time for networking and socialising as well as for exchanging ideas for new projects or group-interest activities. There are no “subs” and membership is as simple as showing up at St John’s Yard at the designated time and pitching in. Alternatively, those who would prefer to ease in gently can introduce themselves via our Facebook page or through the form found in the ‘Contact Us‘ area of this site. We can then prearrange for one of our existing members to keep an eye out for you and make some introductions. So take a look around, meet some of us, read our blog and generally make yourself at home. And if you’d like to be a part of a vibrant local writers group then please feel free to get involved! Thanks, Martin. Much more content to come yet, and still LOADS of members to go up in the rogue’s gallery when they finally get round to submitting their biogs and profile pics! Oh!! I wish I could make it to your picnics. You look a happy bunch. I know I’ve been absent for a long time but I’m still thinking of you. I’ve been very busy at the theatre and – big news – I’ve taken over Mr Books bookshop in Tonbridge! We’re at 142 High Street (and http://www.mrbooks.co.uk) and you’re welcome anytime. We have some author events coming up so I hope you’ll all come along then too. I’ll try and get to another meetup (can’t do the 8th sadly) maybe the next one. But if it’s okay with you I’ll post details of events here. Here you go – not long before James Graham – writer of Labour of Love, Ink, Tory Boyz and even the book of Finding Neverland – visits Mr Books (and Tonbridge Old Fire Station).